You know quality when you feel it. Strong, smooth and silent. End to end control of superior design, high quality materials, local manufacture and installation by our own fitting teams means we’ll both be proud of your end result. With the correct care your new Sliderobes will last for a very long time. We’re so confident of that, we back it with a 10 year guarantee. 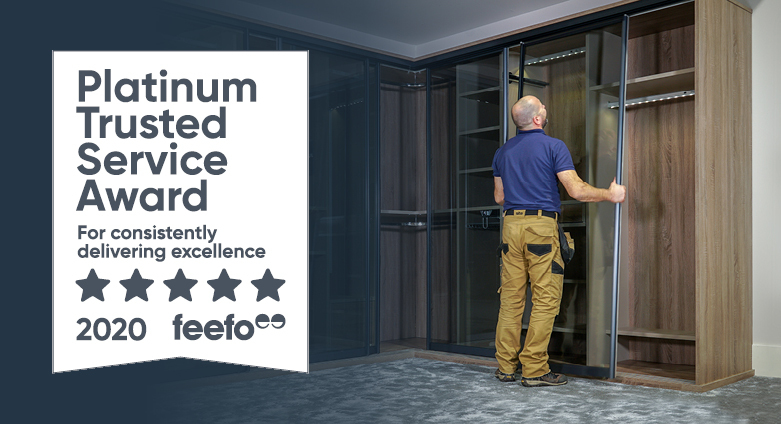 In short this means that everything is now guaranteed for 10 years including doors, door running systems, interiors, free-standing furniture and accessories (excluding any electrical or LED accessories which are guaranteed for a period of 2 years). We’ve been making quality furniture for over 30 years. With over 100,000 installations we know what we’re doing. However, we’re human, so even though mistakes are rare, they can happen. If they do, don’t worry, we’ll put it right. We’re fanatical about treating customers like friends, and we’re never happy unless you are.